Other Products by Body Science. Search other Multivitamin and Mineral products. Body Science BSc Multi Vitamin with Executive Stress Formula combines a high potency essential blend of Vitamins and Minerals, utilising primarily chelated minerals for superior bioavailability. 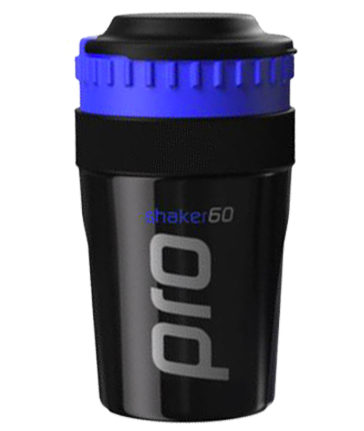 For instance, zinc amino acid chelate is used in the formulation, at a dosage of 50mg per tablet. Essentially, this is one atom of zinc bound to an amino acid, typicallly glycine. This is important, as many minerals in nature, such as is meat, end up bound to amino acids in the stomach, which supports absorption. Now, a portion of this 50mg zinc amino acid chelate is zinc, and the other part is an amino acid. In this case, the zinc portion (elemental value) for zinc is 10mg, which leaves 40mg for the amino acid. If you can wrap your head around this, then you will know more than most about elemental values of minerals and how to read labels! In addition, Body Science BSc Multi Vitamin with Executive Stress Formula contains many other chelated minerals, such as Magnesium, Iron and Manganese, as well as Selenium. Selenium is an under-rated nutrient that has some massive responsibilties with regards to maintianing a healthy human body. Firstly, it supports a healthy immune, through maintaining white blood cell production and activity, regulates a powerful antioxidant enzyme called glutathione peroxidase, and is even needed for the synthesis of triiodothyronine (T3) which is the most powerful thyoid hormone1,2. So not only does this mineral help protect our cells from free-radical damage, it also plays a large role in setting our metabolism, along with iodine. Iodine is required for T4 and T3 synthesis as well, as it is in fact a structural compontent of these hormones. 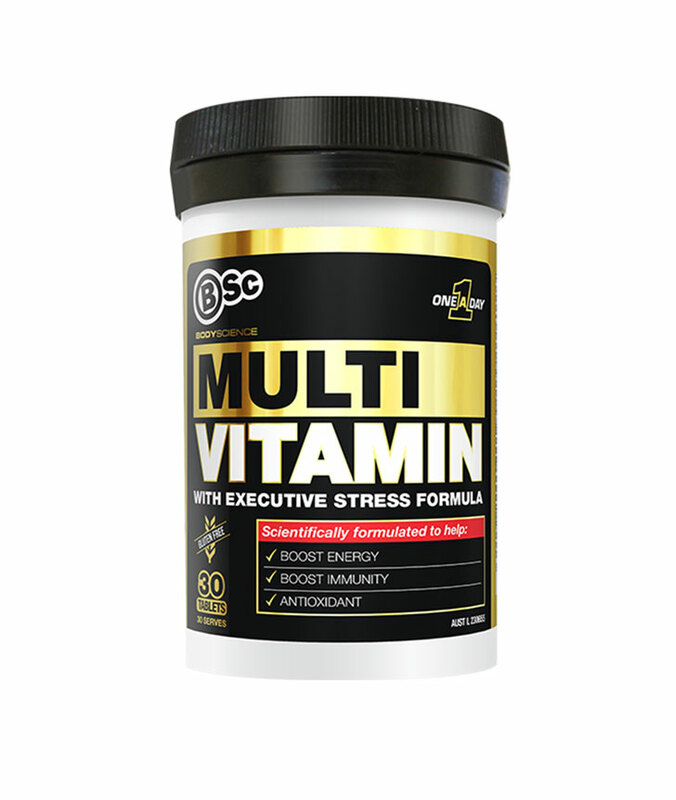 Body Science BSc Multi Vitamin Executive Stress Formula provides the get-up-and-go you need to maximise you day, every day! Take 1 tablet a day with meals or as advised by your healthcare professional. Warning: If you are pregnant or considering becoming pregnant, do not take Vitamin A supplements without consulting your doctor or pharmacist. The recommended daily amount of Vitamin A from all sources is 700 micrograms retinol equivalents for women and 900 micrograms retinol equivalents for men. When taken in excess of 3,000 micrograms retinol equivalents Vitamin A can cause birth defects.